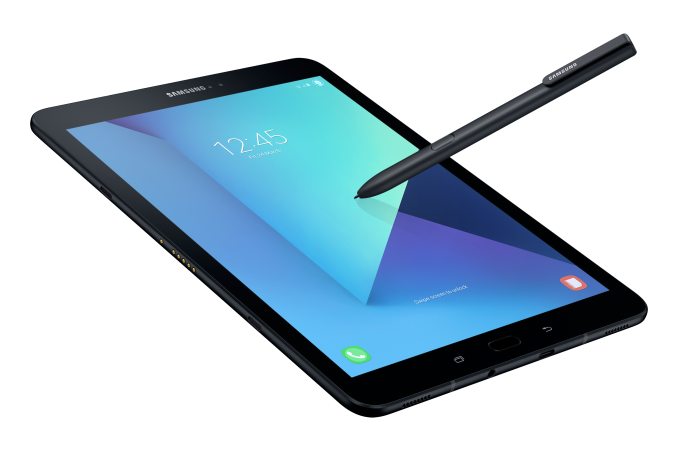 Along with the Galaxy Book parts being launched today, Samsung also announced the next generation of Galaxy Tab. 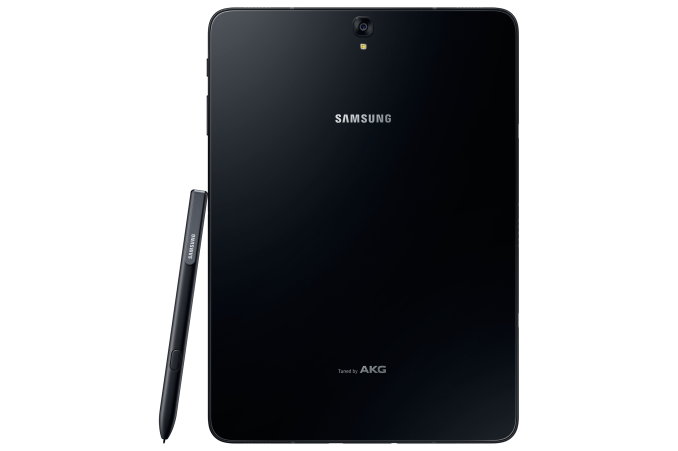 The S3 is also an iterative design, with what Samsung believes is the premium Android tablet available in the market. Starting with the Snapdragon 820 SoC, featuring Qualcomm’s custom Kryo cores, the headline message for the S3 is support for HDR 8-bit content as well as a 6000 mAh battery and support for fast charging technology. 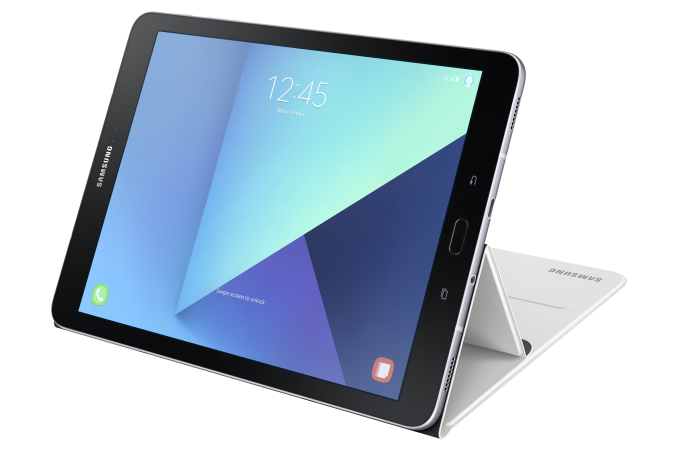 Aside from the SoC, the tablet is set to be offered in a 4GB DRAM and 64GB storage option, with a microSD card allowing for another 256GB. Wireless, aside from the 2x2 802.11ac inside, comes via an LTE Cat.6 modem, good for 300 Mbps downlink speed. There is also support for BEIDOU and GALILEO location detection services. The 9.7-inch display uses Samsung’s Super AMOLED display technology, with a resolution of 2048x1536, and uses quad-stereo speakers tuned by AKG/Harman. Similar to the Galaxy Book, Samsung is promoting its latest ‘Flow’ technology, allowing biometric login for wirelessly tethered devices, and the new S Pen with ‘screen off’ note taking functionality. These are built upon Android 7.0, which along with the SoC is engineered for 4K60 video playback. The camera setup is similar to the 12-inch Galaxy Book, with a 13MP rear sensor with auto-focus and a 5MP front sensor (other details should emerge on these. Samsung is listing the weight at around a pound for the S3 (434g in LTE mode), and the unit comes with a kickstand. We’re awaiting more details on the hardware and the implementation, hopefully coming through the press event that’s starting as I’m writing this news post. We’ll hopefully get pricing and availability information too. 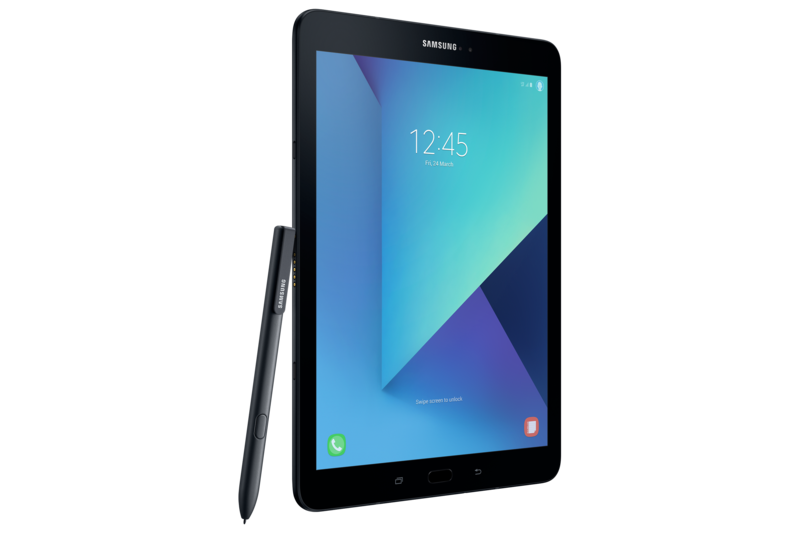 Edit: All Tab S3 units will come with the S-Pen as standard, and Samsung are partnering with Staedtler to provide a special S Pen called Noris Digital in the traditional school pencil style. Supports a keyboard case and has 4 speakers. Not for Android, no. The A10 kills this, and the A10x will bury it. But, that's nothing new. Not sure what your point is, but yea, Apple makes lots of nice, overhyped processors optimized for their software alone. Thing is, they're not sold separately, and probably aren't as good running Android. Clearly you've never used the devices you're talking about if you think that. IanCutress: A day in Zurich next week. Suggestions? IanCutress: @stephenjbrooks I should clarify, the briefing was taking place inside a massive helmet with horns, not that I was wearing a helmet. IanCutress: @Patrick1Kennedy I'm dreaming of being in a giant horned helmet too. RyanSmithAT: @IanCutress To be fair, it's not a holiday in the US. Which is where most tech companies (and your boss) are located. andreif7: @22fireheart I don't have the phone nor are there any plans to acquire it. andreif7: No evident camera changes on S10 ASD5 update. Still inferior HDR and blurry wide-angle for Exynos.